This year’s Man Booker Prize winner Paul Beatty’s The Sellout has variously been described as satire, a dystopian parable, an inscrutable tome (18 publishers rejected the manuscript). It’s all that and more, but it is essentially a mirror thrust before today’s America, unflinching and brutal. 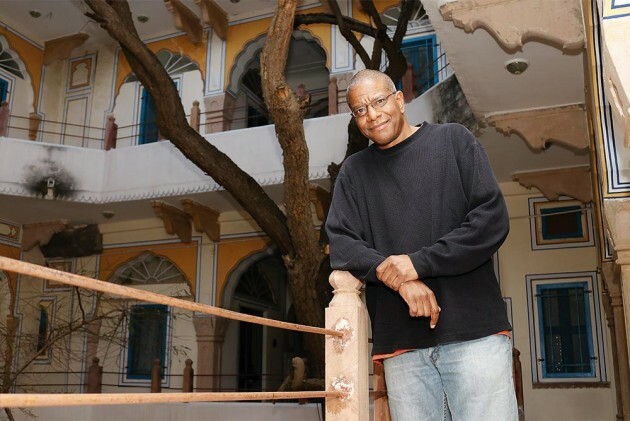 Beatty is in India, his first time, as part of the Jaipur Literary Festival. 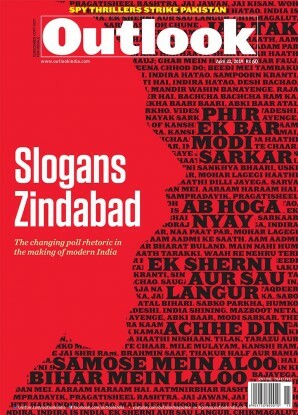 He spoke to Satish Padmanabhan. Excerpts from the interview. A new president is being sworn-in in your country, and you are here, 10,000 miles away? It feels good actually. Being there you lose track because everything is so Ame­rican-centric. I am glad I am not there in a weird way, to pretend that you are distant from the process. This is not like when Obama was elected, when I said I have to be there, but this about this other groundswell of things that have been happening for a long time. It’s hard to even talk about because there is nothing there. It’s like seeing an American apparition take this job. But the consequences can be very real. In fact, The Sellout feels like a reaction to what has happened recently, during the presidential campaign, but surely the book has been very long in the making. For a writer, it’s always about how you touch on this timeless stuff. There is something about the human condition which is always timeless. Somehow, this book, ten years from now, will somehow still feel timeless. It’s interesting, because some people think I spat the book real quick. But I am writing about things that have been going on for a long time—historical, emotional, mental—that doesn’t change. The context changes, but the art­istic part of it is the same. The book has been called a satire, you have been called a comic genius, but the book is actually a harrowing commentary on today’s America. That’s just how I write, it’s not as if I am trying to be funny. I am a cynic. Humour for me is just a device. A satire can be tied to a time and place, I am trying to avoid that trap. When I started writing the book I was reading a lot of political fiction, and non-fiction, and I was always like how there is no humour in it. I hear people talk about, even people who are involved in politics, who are activists, they talk about it with a sense of humour, but at some level when they put pen to paper it just goes. You said you are a cynic, but when the presidential campaign was going on, did you hope that all this was political rhetoric and posturing, and once elected they system will kick in, the check and balances of the system...? Yes, there is a trust in the system. In my younger days I used to read a lot books which talk about how everything is imaginary, it’s all metaphysics—the money, the state. Now, it’s almost started to play out in a weird way, you know, the smoke and mirror part of it. The decorum of the system which kept all this in place is I wouldn’t say deteriorating—there is this boldness about some very scary stuff. Some people are feeling emboldened to do certain things, things that are completely self-destructive in my opinion. You know, it’s Obama’s job to say this is a peaceful transition, but you don’t know what’s going to happen. One of the things that will be interesting to see is how forceful Trump is with the press and how quickly he pushes them aside. One of the things about the States is that left-wing media...people aren’t really aware of it; it doesn’t have a voice. The media thing is scary, about censorship. Even somebody like Nixon, who might have felt the same way about the press, did not voice these opinions in public. He didn’t welcome the sycophantic and the sympathetic overtly. So, the media is in a fix, which side to take or not. The thing they are struggling with it is how to be subjective. Actor Meryl Streep recently spoke out against Trump at an award ceremony. Do you think artists, actors, writers should speak their mind about the politics of the day? Yes, if they feel the need they should. It’s a beautiful thing about a democracy that they are able to say it; there is an audience for it. But it doesn’t mean that I want to hear what whoever might have to say. If Mel Gibson gets on a platform, I don’t want to hear what he has to say.